Summer is here! And with long days and warm nights, a whole world of opportunities has opened up for you to explore. 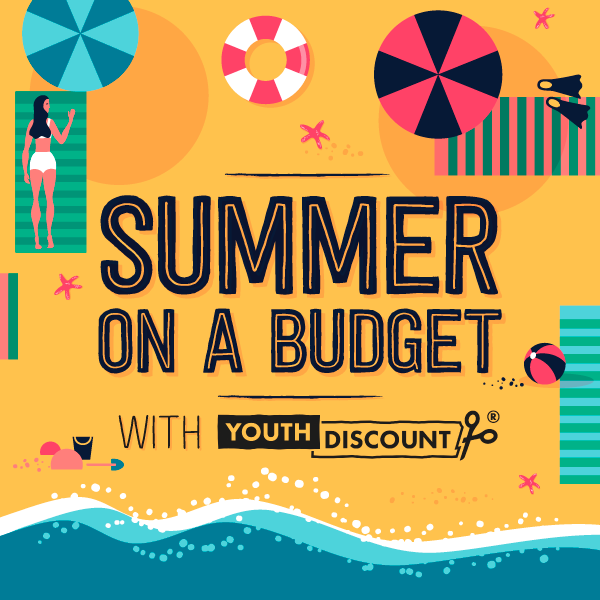 Youth Discount has got your economy holidays sorted with some great days out and places to visit. So grab your suitcase, passport and sunnies and get travelling! La Tomatina is the world's largest tomato fight held on 30th August in the streets of Bunol, near Valencia in Spain. It's the only chance you will get to be encouraged to throw food! The festival has become so popular, there's now a limit on the number of participants, but never fear! The guys at Stoke Travel have sorted your trip out with accommodation, transfers, breakfast, games, parties and guides to help you through the madness! Capital of the Netherlands, Amsterdam is a treasure trove for young people. You can explore Anne Frank's house and the Van Gogh museum, hop on a bike and cycle around the city, take a boat trip on the canal, and of course, get a photo of yourself on the "I amsterdam" sign. After all that, rest your head at Clink Hostels, ClinkNOORD, located in the heart of the city in one of the most creative and culturally vibrant areas. This former laboratory offers a playful and welcoming social space for travellers. Youth Discount subscribers can get 10% Youth and Student Discount off their booking. So what are you waiting for? Get travelling!